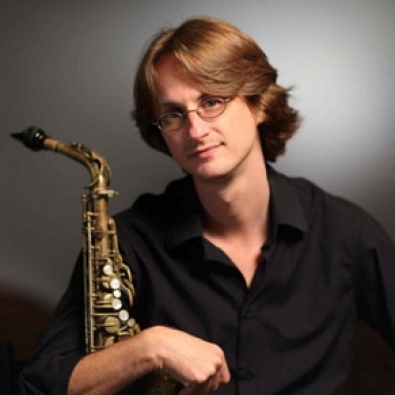 The tenor sax powerhouse in the Peter Fish Group, Benjamin Drazen is a native New Yorker, and grew up in Roslyn, NY. A graduate of the prestigious New England Conservatory of Music, Mr. Drazen studied with such legends as Jimmy Jiuffre, George Garzone, John McNeil, and Cecil McBee. He also studied with the great Dave Liebman just before returning to NYC. From these influences Benjamin has crafted his own jazz style coming out of the traditions of Charlie Parker, Cannonball Adderley, Sonny Rollins and John Coltrane. Since being back in NYC in 1995, Benjamin has performed alongside some of jazz’s best including, Rashied Ali (John Coltrane’s Drummer 1965-67) George Garzone, Gene Jackson, Ron McClure, Lew Soloff, Santi Debriano, Marvin “Bugalu” Smith and Ron Affif. He performs regularly on the New York scene with his own quartet, playing original and standard compositions. Benjamin has performed as a leader and sideman in New York’s most acclaimed jazz clubs including: The Blue Note, Birdland, Smalls, Mintons Playhouse, Smoke, Cornelia St. Cafe, The Knitting Factory, 55 Bar, and Sweet Rhythm. In addition he has worked all over The United States and Canada as a leader and sideman. Although Jazz has been Benjamin’s forte, he also is a lover and performer of many types of music including Funk, R&B and Salsa. He has performed with such legends as Clarence Clemons of Bruce Springsteens E St. Band and Jimmy Sabater (Joe Cuba, Tito Puente) and Stephanie Renee from Jill Scotts Group. Mr. Drazen currently resides in Manhattan, NYC where he continues to lead his own quartet. 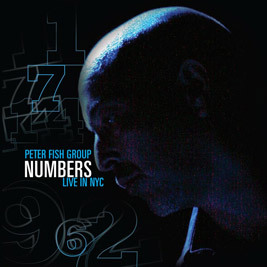 His debut CD entitled Inner Flights on the Positone label will be released March 1st, 2011. Benjamin is currently a member of the Peter Fish Group, Chris Masseys Nue Jazz Project, Charlie Persips Big Band “Supersound” and is a sideman with several NYC small jazz groups. Recent recordings include; Marvin Bugalu Smith Quintet, Chris Masseys “Vibrainium”, Brooke Sofferman’s “Symposium”, Peter Fish Group “Numbers”, Laurent Medelgi’s “Diverses” and Marlon D’s “Love is the key”.